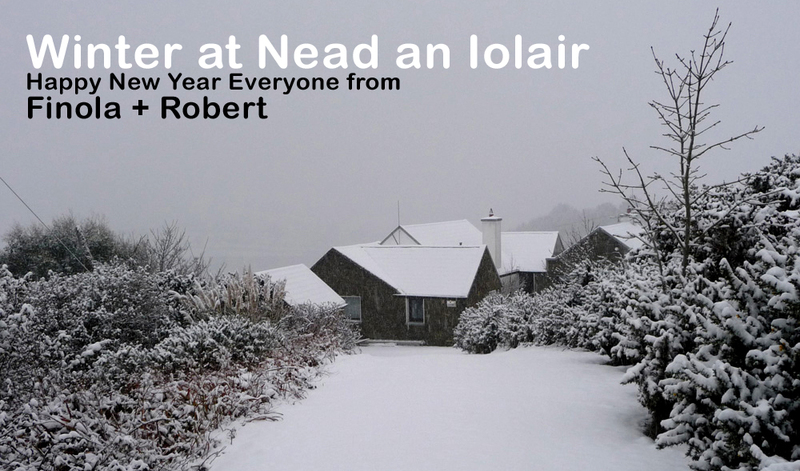 This picture of Nead an Iolair is here to create a seasonal feel: it was taken by our neighbour Dietrich in the Great Winter of 2010 – 2011 when the extremes were all about deep snow, frozen roads and frozen pipes, unusual for this little corner of the island normally kept mild by the Gulf Stream. This winter we have a different extreme – hurricane force winds! ‘Hurricane’ on the Beaufort scale means wind speeds of 118 km/hour or more. We went to bed on St Stephen’s Day evening, having measured the wind speed outside as 87 km/h. 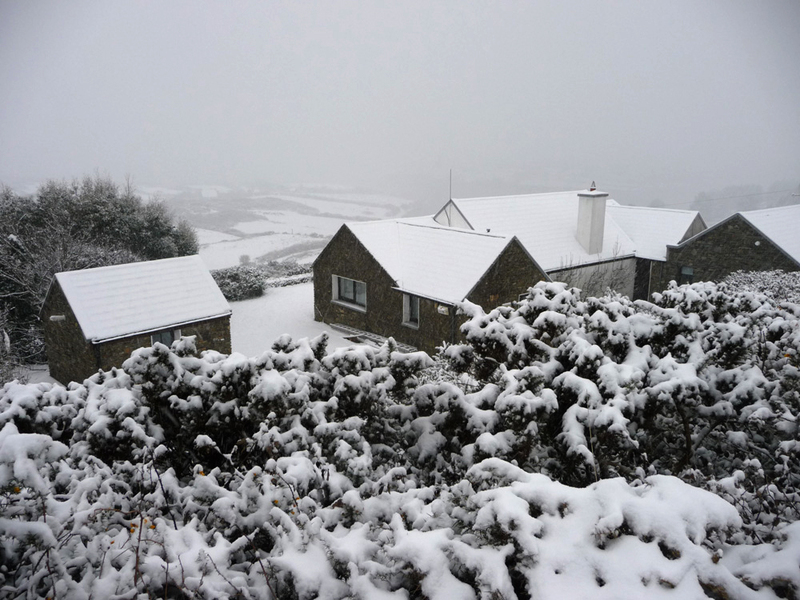 That seemed wild to us: the trees were bent over and the salt laden rain and sleet were coming in horizontally and lashing our south west facing windows. It was hard to sleep: the slates were rattling loudly above us and the aerials and lightning conductors on our roof were shrieking and bending. The noises got louder and more terrifying as the night went on. I wanted to venture outside with my little hand-held anemometer but I couldn’t face it. 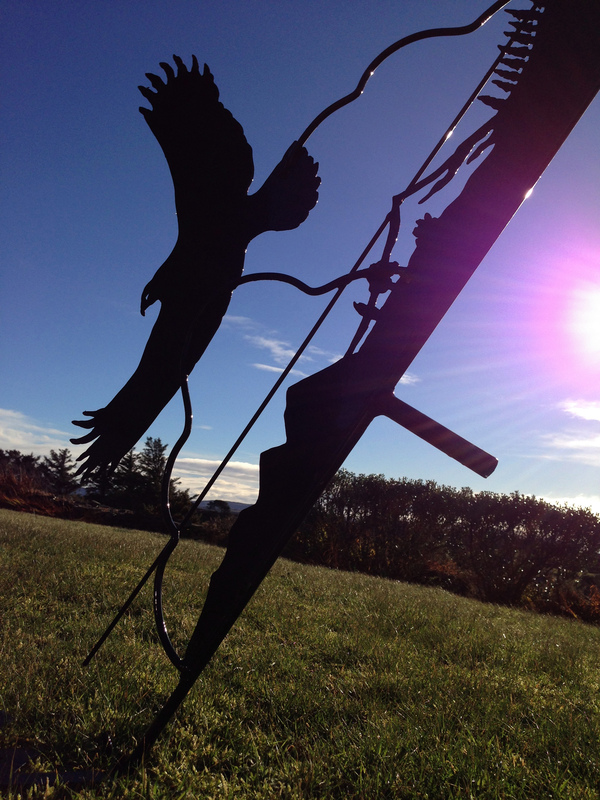 The violent storm began to abate only in the early hours of the morning and, when we did creep out, it was to find some damage: two trees down in the haggart, sadly, and our beautiful weather vane collapsed. It was as well that we weren’t underneath when the flying Eagle and its sharply pointed arrow came crashing on to the lawn, just missing our door. 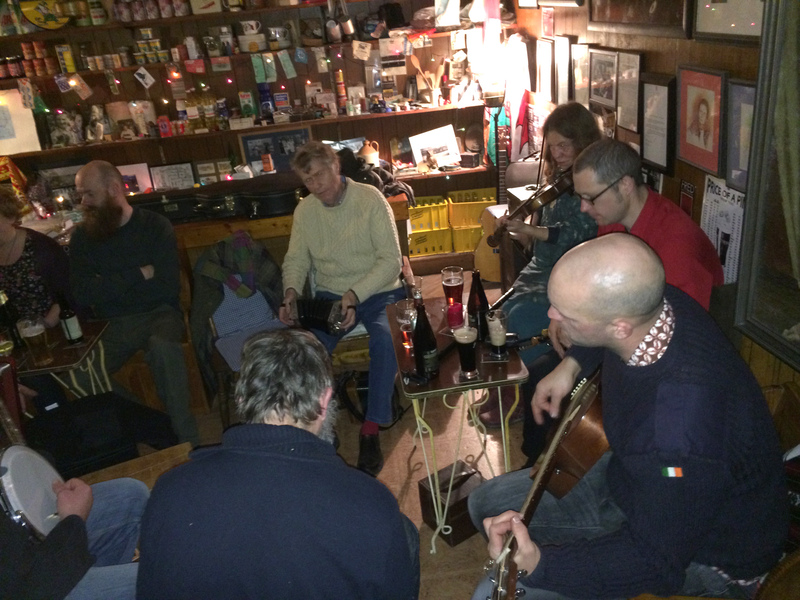 Earlier in the day we had enjoyed an unexpected visit by the Wren Boys to Levis’s pub, where we were involved in an improvised session. Two groups of Wren Boys in fact: the first an adult company with musicians, colourful costumes and bizarre masks, and the second a group of boys dressed in old coats turned inside out, pyjamas and sailor caps, carrying large collecting tins. All were welcomed and the festivities grew merrier as the wind strengthened. As I lay in bed at the height of the storm I found myself worrying about our birds: how on earth could the Goldfinches, Chaffinches, Robins and Wrens (any Wrens who had escaped the St Stephen’s Day hunt that is) have survived that terrible gale – which stripped the bird feeders of everything moveable and the bushes and shrubs of their sheltering leaves? In the morning, there they were back again, and noisily demanding a refill which, naturally, I was delighted to provide. 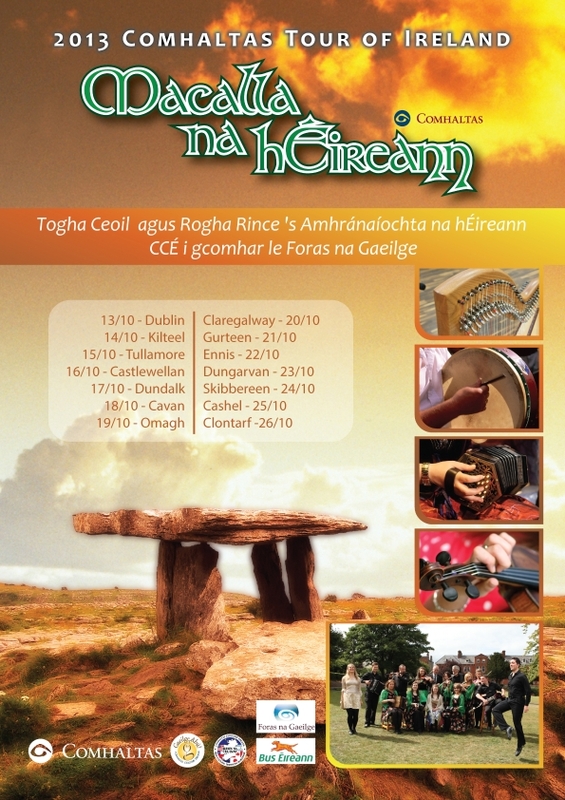 Comhaltas Ceoltóirí Éireann [Finola tells me that this is how you say it: kole tuss kyole tory air run – the literal translation is the Society of Musicians of Ireland] is an organisation founded in 1951 to ‘preserve and promote Irish traditional music and culture’. Its activities are very much in evidence – not just in Ireland, but anywhere in the world where Irish people have settled. 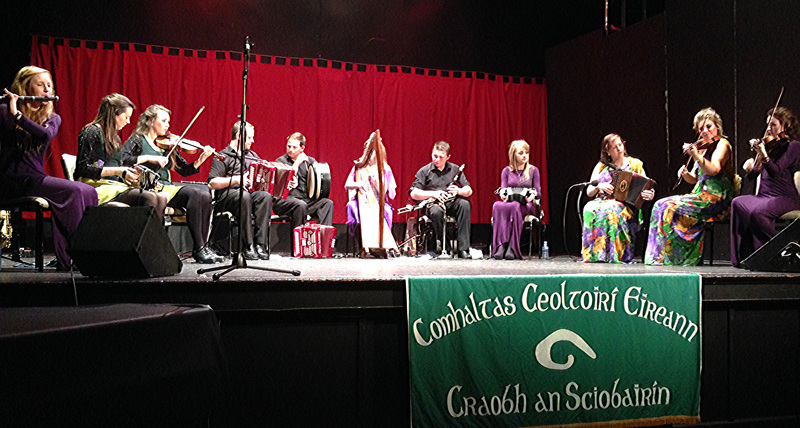 They were evident in Skibbereen last week, when CCE featured some of its top class performers in music, dance, song and storytelling on a whistle-stop tour around the whole island of Ireland. We were fortunate that their venue in the south west was on the doorstep here. It was a most inhospitable October night: gales and floods were rife across Ireland and Britain. Yet the Skibb Town Hall was full to capacity, and the concert was well worth braving the elements for. The whole programme was polished and professionally produced: not a wrong note was played, nor a dance step placed out of kilter. It was a most memorable, satisfying and entertaining treat for the senses. This was a showcase for the principal work that CCE has been carrying out for over sixty years: training people young and older in the crafts of playing and dancing in the traditional style. Once this would have happened naturally – through families and generations handing on the skills and the tunes. The fact that a CCE was needed and is now so established suggests that there was a danger of The Tradition dying out, or at least becoming diluted or rarified. This may or may not have been the case – for decades and all over the world collectors of folk culture have been convinced that they are recording the dying remnants of customs and lore, but perhaps there are always undercurrents of renewal which happen naturally: many of the most skilled exponents of The Music today learn their craft in the ‘old’ way – at the hearthside from parents, uncles, aunts and cousins. In our electronic age, however, lifestyles are radically changing and the formalised classes and competitions which CCE runs, and which are within easy reach of every community, can only be for the good. 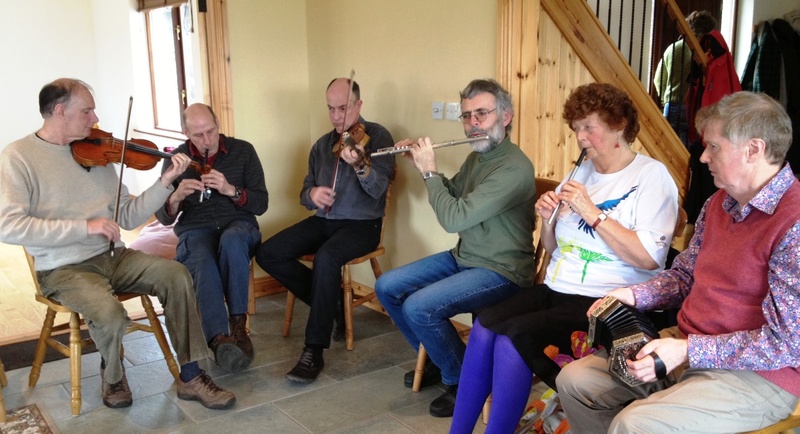 The latent talents shine through in performances such as those at Skibbereen. I taught myself to play the melodeon and concertina at the age of fifteen (and I’m still learning): now I’m watching far younger people perform with skills which outshine any I might have at this stage of my life, and who are storing up great potential for their own futures. 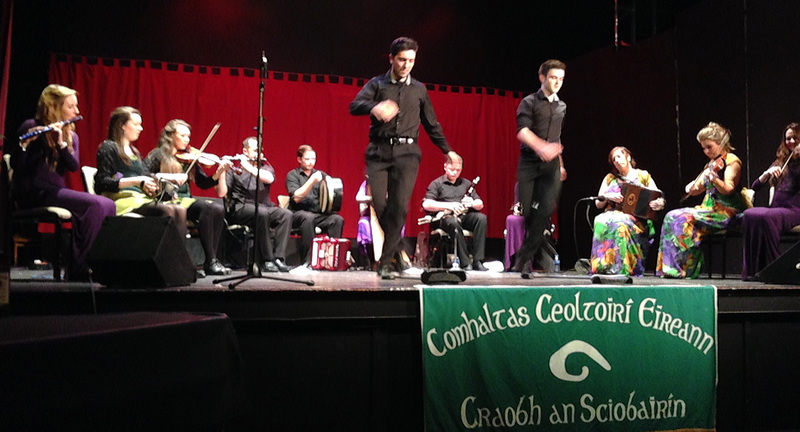 The showcase of Comhaltas talent at Skibbereen: the dancer on the left is Fernando Marcos from the Buenos Aries Branch of CCE! 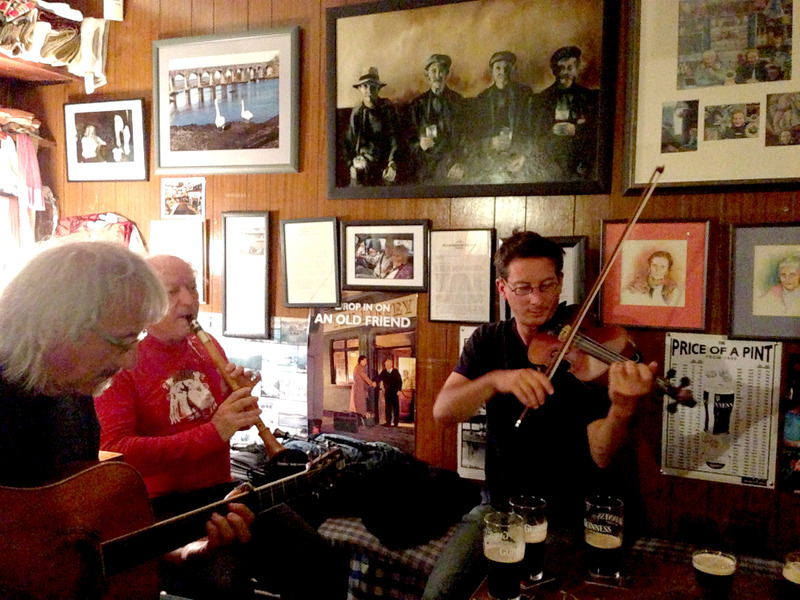 First the Drink, Then the Story – this is the legend above Rosies’s pub in Ballydehob. In that spirit, we hosted a brunch at Ard Glas today for about 25 people. It was to say goodbye for a while to all of the wonderful people we have met since coming to live in West Cork and to thank them for their friendship. 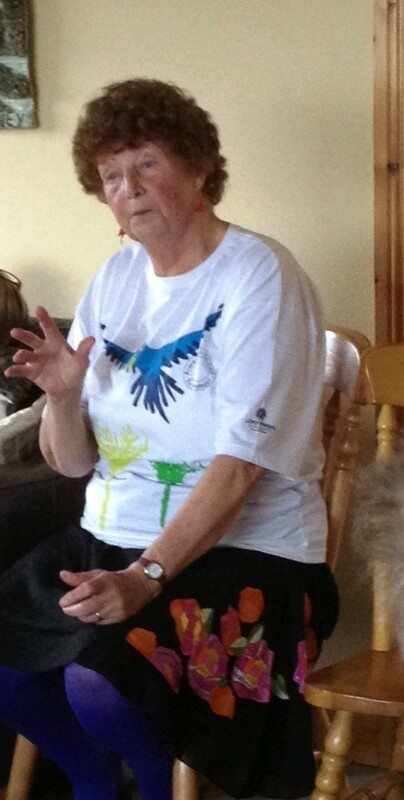 Friends of Robert’s, Michael and Wendy Dacre of Raven Tales, are in Ireland and have come to stay for a few days. They are professional storytellers, with a wide repertoire of stories and songs from around the world, and we took advantage of their visit, and of our friends among the session musicians we have met, to bill this as a Stories and Music Brunch. 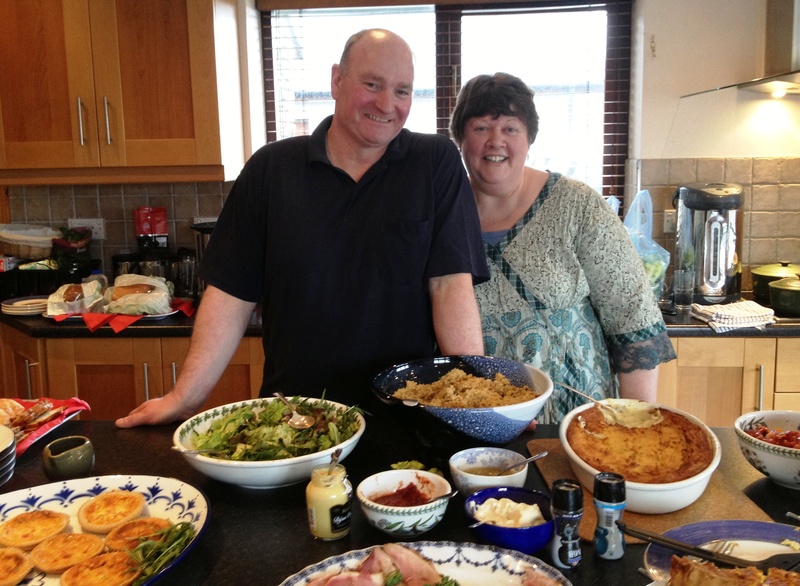 The food was fantastic, thanks to our wonderful catering team of Jo and Bob O’Toole, and when everyone had eaten and drunk their fill we started on the music and the stories. We listened, wrapt, we tapped our toes, we sang along, and of course we talked and laughed and ate and drank the afternoon away. You can read Amanda’s take on the afternoon here. This is written from the perspective of one who sits in on music sessions (or ‘Seshunes’) and attempts to find some commonality in repertoire with the other musicians. Usually, there is no commonality: every session has its own pool of tunes with which the regulars are familiar – I hide in a corner and play along, very approximately and as quietly as possible until I achieve a semblance of the relevant melody, by which time the moment has passed and the tune has changed to something else. It’s a struggle, but the experience of making music with a whole crowd of enthusiasts is a good one. We first sat in at Levis’s (local opinion seems to differ as to whether this is pronounced as Leeviss or Levviss – or even Leevies) and admired the aesthetic: 1950’s decor and accoutrements. The bar was very much one room of a private house – and a trip to the loo meant going into the domestic quarters of that house. About ten musicians sat around in a circle and took up most of the available space; some bar stools provided a little room for spectators. There were a few ageing and fascinating paintings and photographs on the back wall – many with political connections – and a little grocery section to the side where, in the daytime, one could purchase cornflakes and other necessities of life. The bar was manned by a niece of the two Miss Levis’s who had presided over the establishment well into their nineties. The Music itself was traditional, and mainly Irish. Instruments spotted included fiddles, guitars, flutes and whistles. The pace was fast and the hour late. 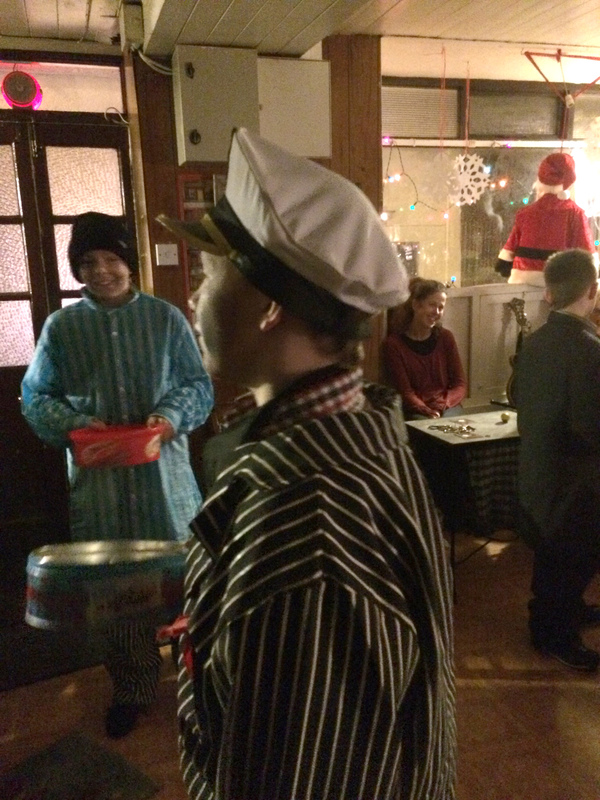 Proceedings commenced at a theoretical 9.30pm – actually closer to ten. We were not there for the finish: we had a bed to go to. 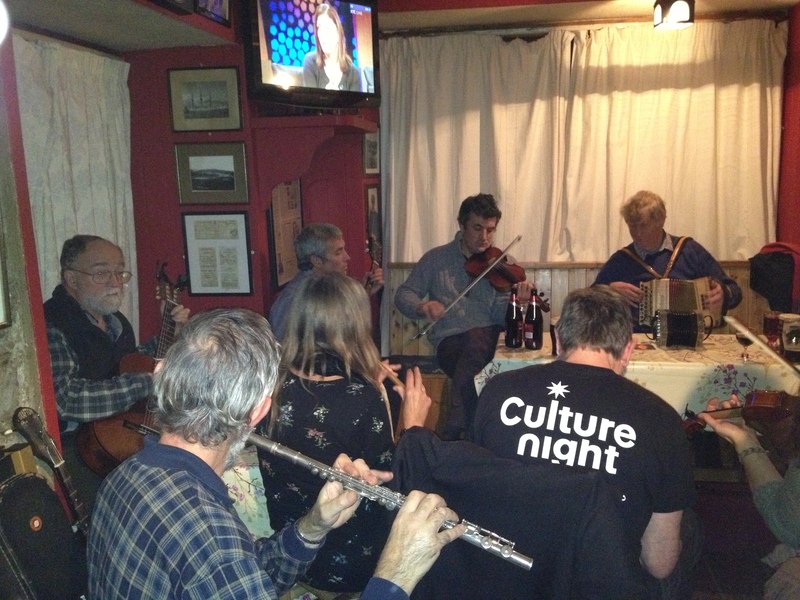 Last night I played my first note at the Ballydehob Seshunes. The venue was Vincent Coughlan’s – a more robust setting with ample space and a roaring stove. Also a television set, which remained on throughout the due process, although the sound was muted while The Music was played. 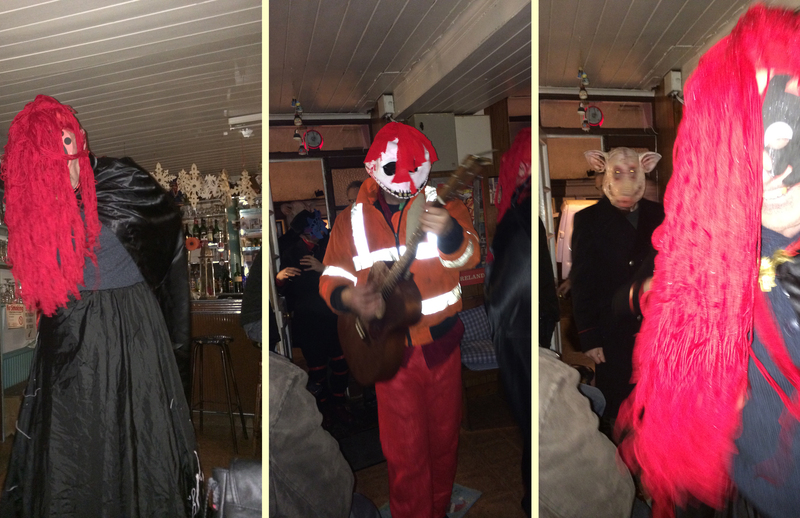 This time there were more players and banjos and squeeze boxes added to the melee – including my own melodeon and concertina. I produced many wrong notes, but I coped. 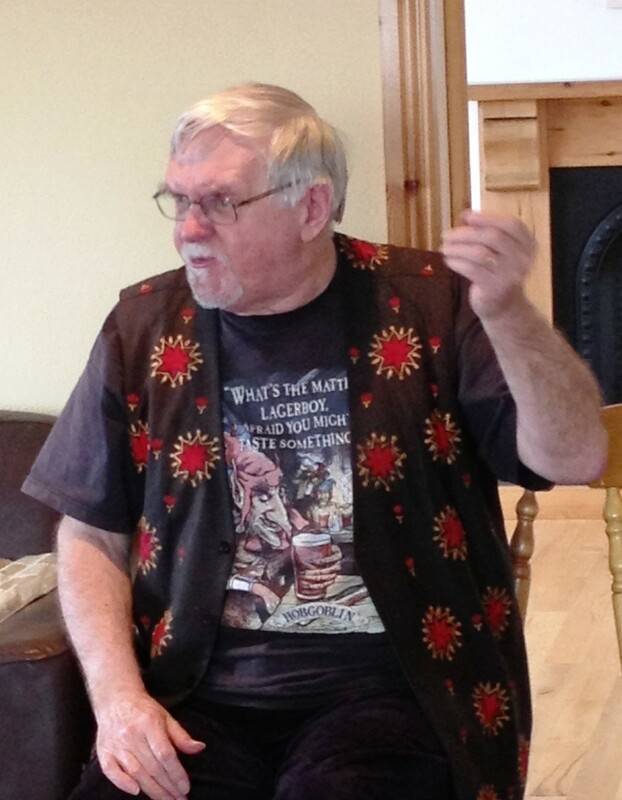 I have always felt shy and reticent about playing Irish traditional music in Ireland, as I am not Irish. But perhaps I needn’t worry: a brief headcount showed that of the musicians there last night eight percent (one person) were Irish, another eight percent were German, and the remaining majority was English! But music is after all a universal language – and we are all Europeans….